Atos Medical Inc. has always believed in offering a strong educational component for our customers. We know how difficult it can be to change and introduce new practices in healthcare. To assist, Atos Medical offers a comprehensive laryngectomy pulmonary rehabilitation program as part of the continuum of care. Upon discharge, while the patient is getting settled with outpatient care and insurance, we offer a Coming Home case that provides product and support resources, with the return of a completed Consent Form. 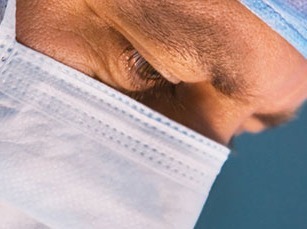 Clinical studies have shown that most laryngectomized patients who use a Provox Heat and Moisture Exchanger (HME) 24 hours a day, even while sleeping, experience reductions in: Mucus Production Coughing and Forced Expectoration Immediate post-operative use of the HME also lowers the cost as compared to the use of an external humidifier. *data on file. Test works best with the following browsers. If you cannot get the test to function on your browser, please contact Atos. If you would like to use copyrighted illustrations, images, videos owned by Atos Medical, simply request a “media usage” form by clicking here. For more information on other Atos Medical educational services and how you can have live CEU presentations on a variety of topics at your facility, please contact your local Atos Medical Territory Sales Manager by calling 800.217.0025 or contact our Educational Division at educationdivision.us@atosmedical.com.